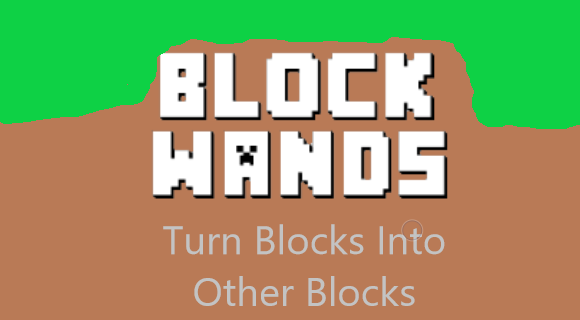 This mod allows you to have wands that change blocks to the block associated to the wand. This mod is a work in progress though, if it isn't obvious enough, But I did make the Water Wand and Lava Wand. All Wands: 10 Attack Damage, 1600 Durability, Special Abilities can be triggered by Right Clicking a block, Right Clicking the air, and/or Hitting an entity. Right Clicking a block special ability uses 5 durability points.